Finally, ball valves that tolerate freezing conditions! 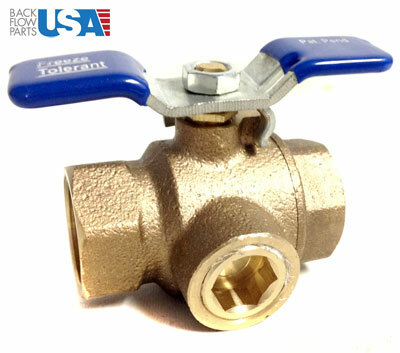 During a freeze Ball Valves will crack at their weakest point. 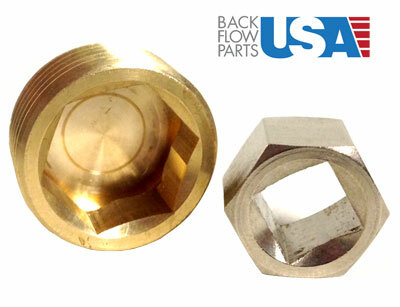 In these specially designed ball valves the weakest point is the replaceable sacrificial plug. If you are caught in a freeze before you have winterized your pipes all you will need to do to fix the crack is unscrew the old plug and screw in a new one. 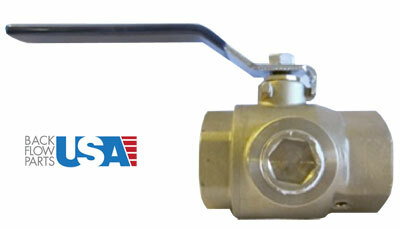 Click below on a ball valve size for more information and even a helpful demonstration video. Freeze Tolerant BV - 1/2"
Freeze Tolerant Ball Valve - 1/2"
Freeze Tolerant BV - 3/4"
Freeze Tolerant BV - 1"
Freeze Tolerant Ball Valves - 1"
Freeze Tolerant BV - 1 1/2"
Freeze Tolerant Ball Valve - 1 1/2"
Freeze Tolerant BV - 2"
Freeze Tolerant Ball Valves - 2"
Freeze Plug Kit - 1/2"
Freeze Plug Kit - 1"
Freeze Plug Kit - 3/4"
Freeze Plug Kit - 1 1/2"
Freeze Plug Kit - 2"